In 2015, Kickstarter backers brought WillowFlex into its initial production run. As we begin 2019, it is clear that additive manufacturing is moving into serial production and materials need to focus on becoming reliable with consistent quality and unique material properties. WillowFlex has spun-off as an independent company from BioInspiration to focus specifically on industry-ready filament lines and developing new material formulas to expand applications. When WillowFlex was launched, the media was driving a cycle around 3D printing with the vision was that everyone would have their own 3D printer and free, high-quality models would provide quality objects with a click. WillowFlex was launched into this reality on 300g spools that shipped to 50 countries around the world. But now, 3D printing has matured into additive manufacturing. There are a different set of demands for the industrial production floor. One of the early indicators for WillowFlex came from their work with SLEM who created a production line of 3D printers and robotic arms that created shoe soles using WillowFlex. The following year SLEM had an array of Ultimaker printers do a sample small series production. Shoe makers from Europe and the US have been one of the most common requests. But other industries including fashion and consumer products also regularly use WillowFlex for product development and small production runs. Brian Crotty, the former CEO of BioInspiration will now be focusing specifically on developing WillowFlex 3D print filament forward to better serve the specific needs of industrial production. WillowFlex Filament is in a different class then the standard plastic palette based on both the composition of the plastic and the technical properties of the material. The strongest aspect is the heat resistance that helps it to maintain stability even up 105° C and to remain malleable without cracking as the temperature approaches -15° C. The “matte texture” of the material provides a different tactile experience from most plastics. It is a very forgiving material to use in production. 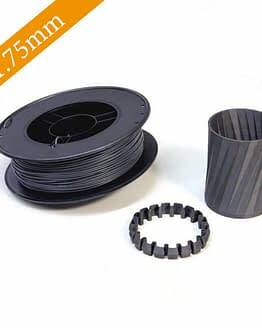 These all help position WillowFlex as a reliable, high-performing 3D filament material that is ready to be placed into components in the field. But all of these advantages did not simply come by chance. The raw material that composes WillowFlex was developed by GreenDot BioPlastics. These biomaterial experts have been developing a number of first in class materials that have met both European and American standards for compostability as well as solving concrete product needs. WillowFlex was the initiative from Brian Crotty and 3dk.berlin to work directly with the GreenDot lab to adapt that bioplastic for the unique production requirements of 3D printing which places a different set of demands on the material. WillowFlex is one of the signposts that shows that nature-friendly is not a trade-off against performance. WillowFlex will be taking a two-pronged approach in the coming months leveraging the strong partnerships that helped launch the filament from day one. 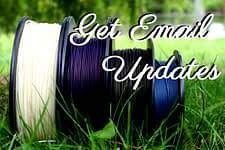 First, they will be expanding their filament portfolio to provide solutions for industry in terms of spool size, print performance and material properties. 3dk.berlin will continue to be their production partner and are known for the filament production quality they deliver in Germany and across Europe. The second approach will be working more closely the material scientists at Green Dot and the development lab at 3dk.berlin to release custom formulas for specific industries, technical properties, or developing entirely new material properties using composites. Strong, adaptable partners like Green Dot and 3dk are essential for a production network that can serve the requests and demands of additive manufacturing as it matures. WillowFlex is in a unique position to bring additional performance and natural edge into the next stage of manufacturing. 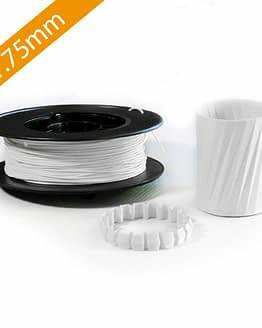 Based in Berlin, WillowFlex offers a line of 3D printing filament that is high-performance, resilient and made from compostable raw materials. 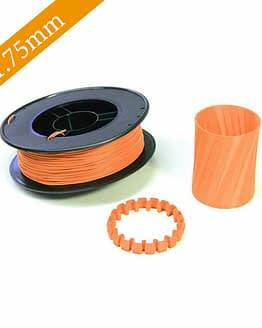 Their filament has been used by prototypers, students, researchers and industry for five years. Since 2017, WillowFlex has also begun overseeing completion of 3D print projects using WillowFlex from design to execution. The WillowFlex team is working on launching their own products based on both WillowFlex filament and Terratek® plastic. Green Dot Bioplastics serves brand-owners, plastics processors and designers, helping them to lighten the environmental footprint of the products that consumers use every day, offering a wide-range of bioplastics and biocomposites designed to meet the growing demand for more sustainable plastics. For more information please visit www.GreenDotBioplastics.com.